We use only quality factory approved OEM and aftermarket parts for all repairs. Repair and replacement of panoramic sunroofs is an ever more frequent occurrence with modern vehicle designs. These panoramic roofs bonded to the car structure are invariably laminated glass and will therefore not shatter and break into tiny pieces. However, when damaged it is important that any glass repair or replacement is undertaken to the highest possible standards to preserve the aesthetic performance of the roof as well as the structural integrity of the vehicle. Ramy’s Garage & Sunroof King highly trained technicians are specialists in the repair and replacement of panoramic sunroofs with our workmanship guaranteed for as long as you own the vehicle. These same high standards apply to replacement of movable glass panels in the roof which are usually, but not always, toughened glass just like most side glass on a vehicle. 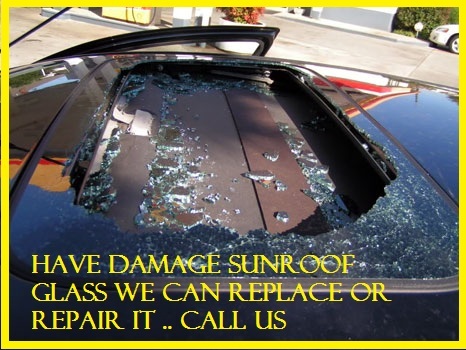 These sunroofs will shatter if impacted by a sharp object and Ramy’s Garage & Sunroof King provide sunroof glass replacement to put your sunroof back in working order quickly and cost effectively. We provide clean air conditioned waiting area with free WiFi and Cable TV. Call us now at 281-661-8180. We repair all sunroofs and moonroofs on all cars, SUVs and trucks’ makes and models. We have the sunroof and moonroof for your car in stock right now. Simply call us at 281-661-8180 for a free price quote. Call us today at 281-661-8180 and we will give you $50 to $100 off. Repair damaged, broken, cracked or non working car sunroof and moonroof at a fraction of what others charge. 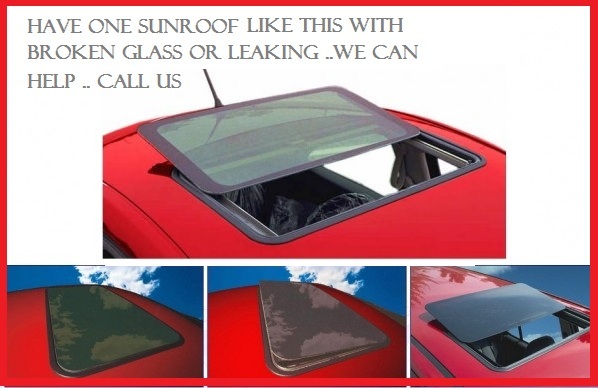 We buy huge number of sunroofs and moonroofs at below wholesale prices. We pass this savings on to you. That is why we can afford to charge less than our competitors. Call us today at 281-661-8180 and experience the difference.